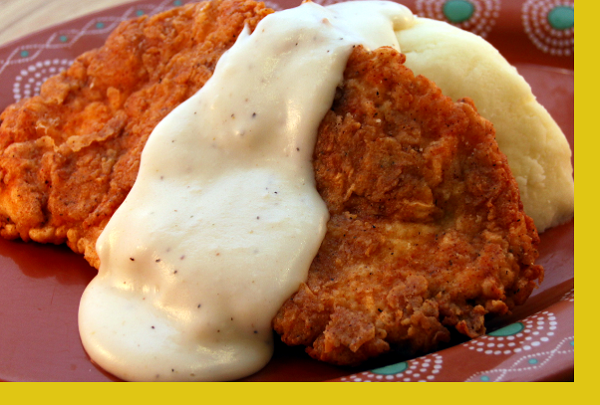 The Texan classic that harks back to Austria's Wiener schnitzel. Chicken breasts pounded flat, dredged in a peppery, seasoned flour then pan fried and served with white gravy and mashed potatoes. So popular, it's spread far beyond Texas borders and is country cooking at its most comforting. Dredge chicken in the flour mixture, dip in egg wash, dredge again in flour and set aside. Heat a pan with vegetable oil on medium heat. Once hot, pan fry chicken about 3 minutes per side until golden brown and cooked through. Reheat white gravy and mashed potatoes and serve. Delicious and easy to prepare! We can't wait to have it again! This was a very good chicken fried chicken. I haven't never cooked fried chicken, but this recipe made it easy to learn. Next time I'll use less oil, but I would definitely order this again. The chicken was so tender I could cut it with a fork. The coating was delicious & the cooking instructions were spot on. Wow, this was by far the best dinner, it was perfect! 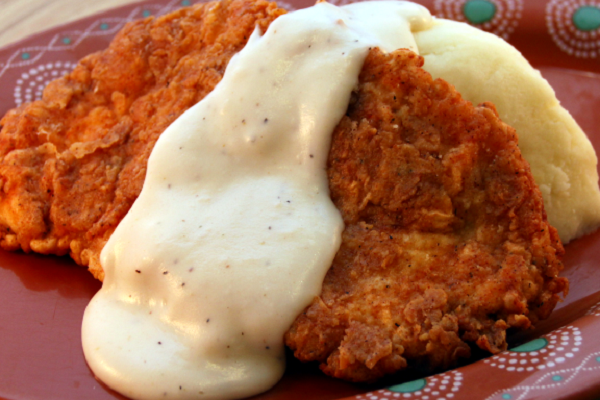 Tender, seasoned chicken and delicious mashed potatoes and gravy. Will order double next time! Can I just say it was fabulous? Had it for dinner tonight. The steak was full of flavor as well as tender and moist. Which isn't easily done. The white gravy was spot on and paired well with the mashed potatoes and steak. I really enjoyed it and look forward to having it again.